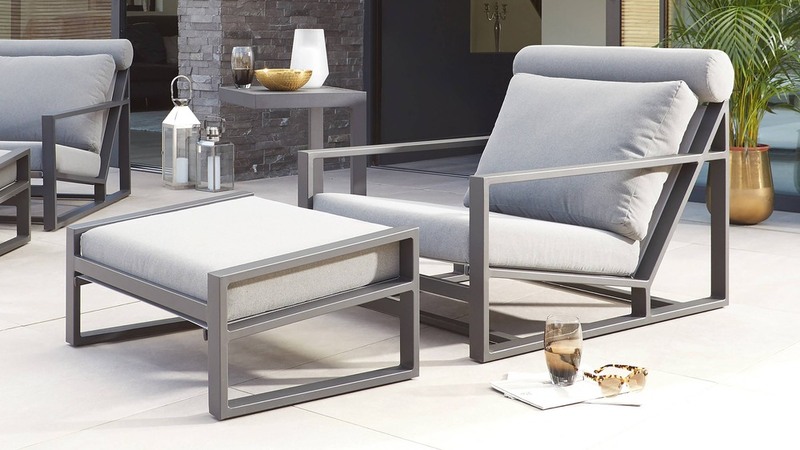 What better way to spend a lazy summer's afternoon than with a friend or loved one relaxing in a Verano Lounger with Footstool. 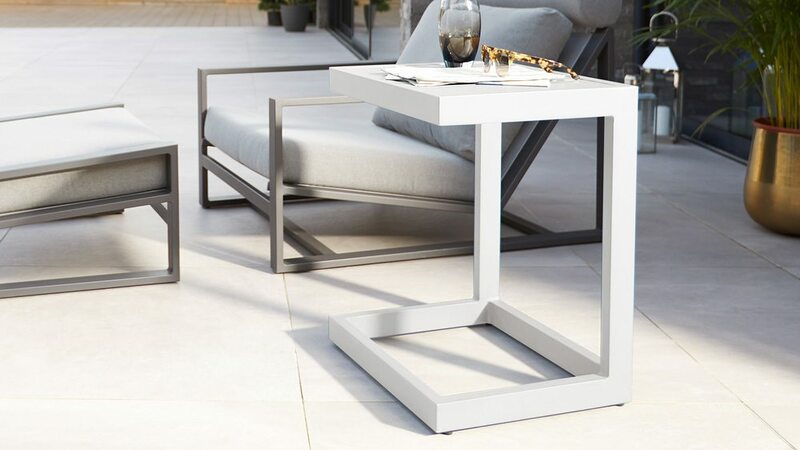 The Lago Side Table is a handy addition to this set, where you can keep drinks and nibbles within reach. 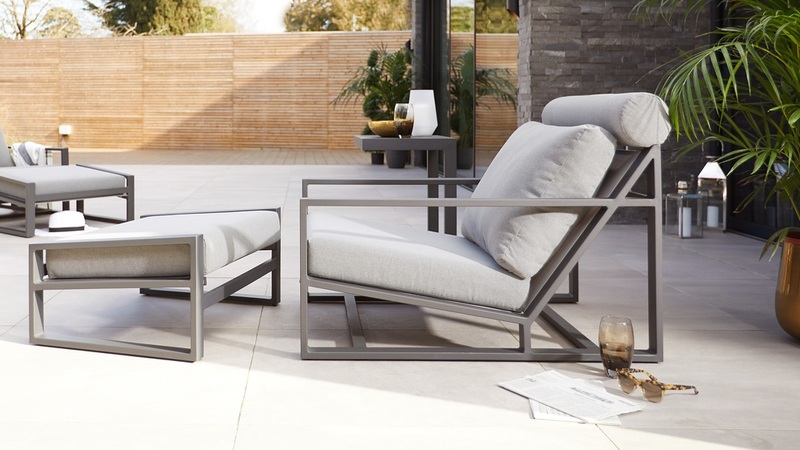 Having separate loungers means you can move around the garden to suit you, perhaps one person stays in the shade while the other would prefer the sun. 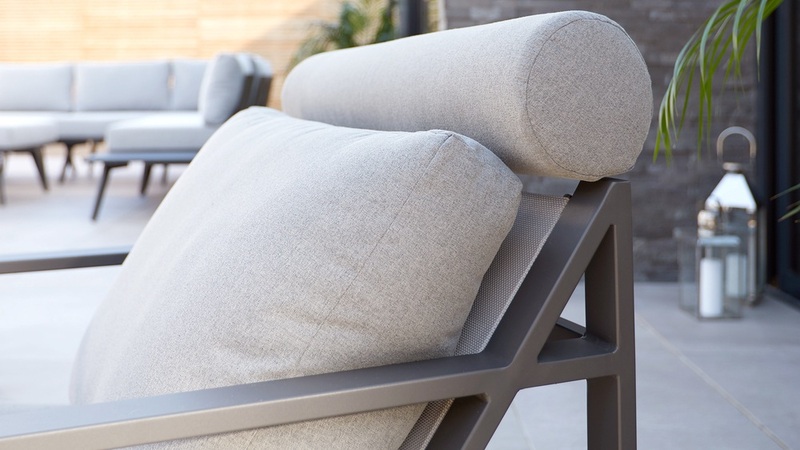 We know that buying a comfy looking chair can sometimes be underwhelming. 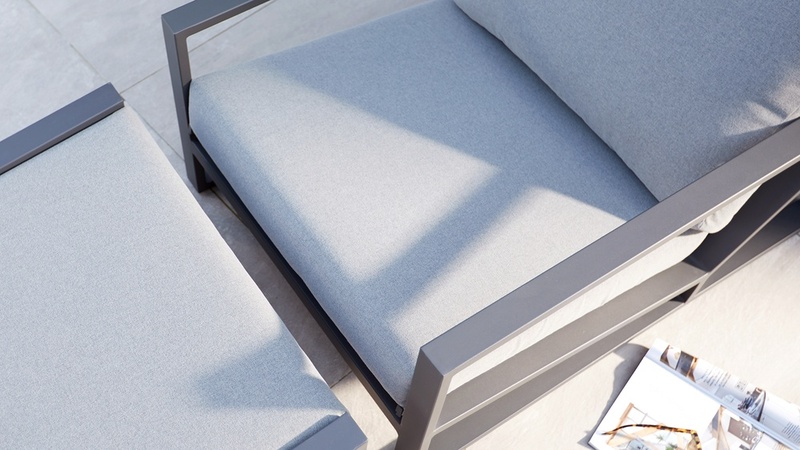 That's why we've gone the extra mile with the Verano and developed the cushions to create a deep and sumptuous seat you can truly sink back into. 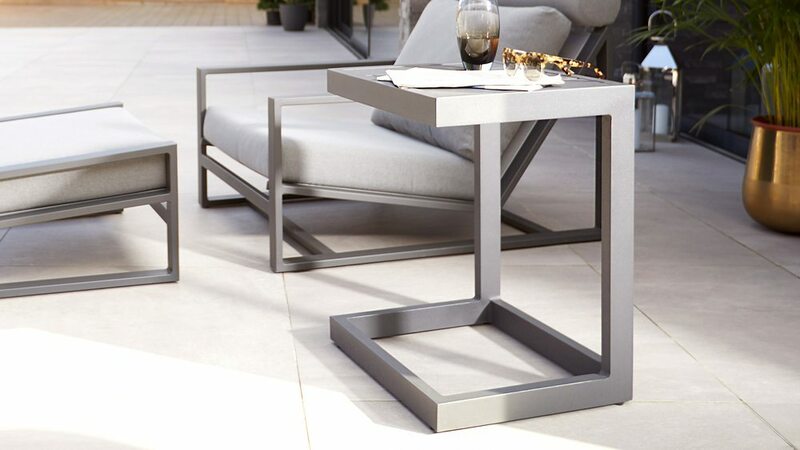 The Verano lounger and Lago Side Table are made from aluminium tubing. This makes them light enough to move around the garden with ease. 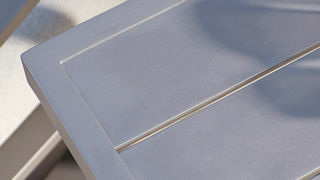 Although aluminium is light, it is incredibly strong and doesn’t naturally rust, so it’s perfect for use in the garden. 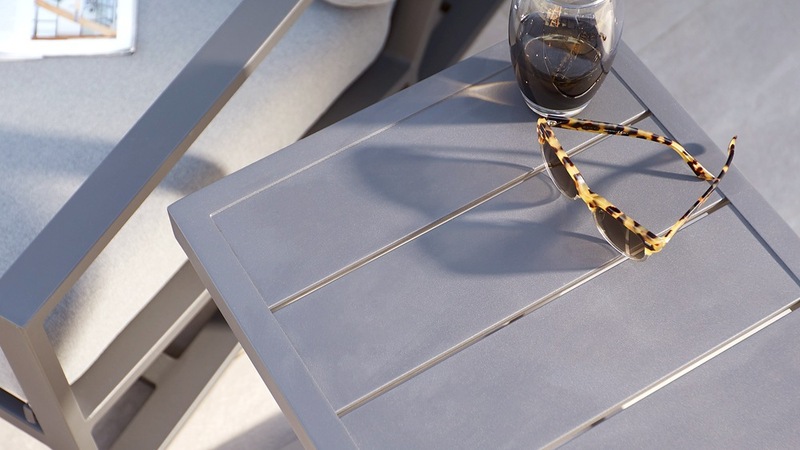 Both the the Verano and Lago are finished in a grey powder coat which produces a sleek matt finish. 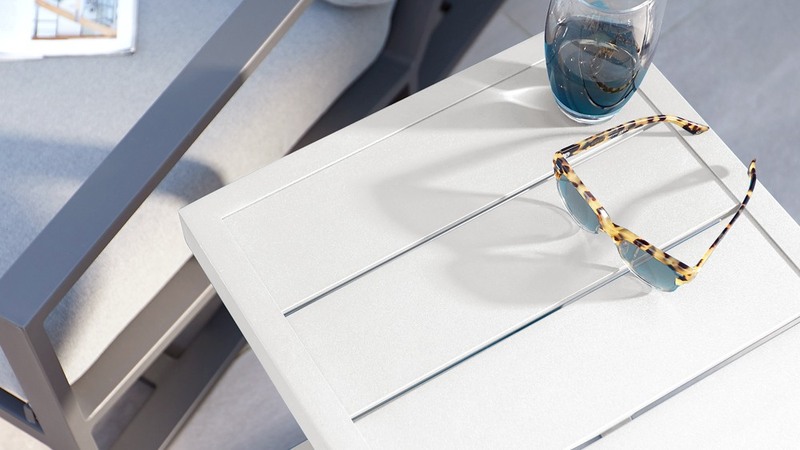 Powder coating is easy to clean and maintain, meaning you’ll get to spend more time relaxing, rather than cleaning! 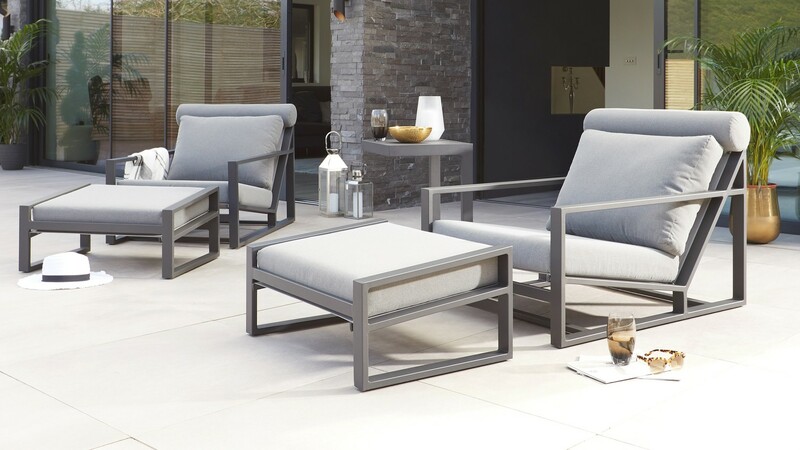 If you like the style of the Verano but would like a more upright dining bench, check out the Savannah Modular Sofa and Savannah Daybed.